We offer a comprehensive training schedule, which can take you from your first experience on scuba equipment, all the way to Advanced Diver. On starting your training, you will be allocated an Instructor, who will stay with you for the duration of your pool training. Your training will be carried out at the pace that suits you, allowing you to build up your confidence before venturing into open water. Your initial training will take place in a swimming pool, but you'll move on to local open water dive sites such as Blue Lagoon near Doncaster and 8 Acre Lake near North Cave as your training progresses. 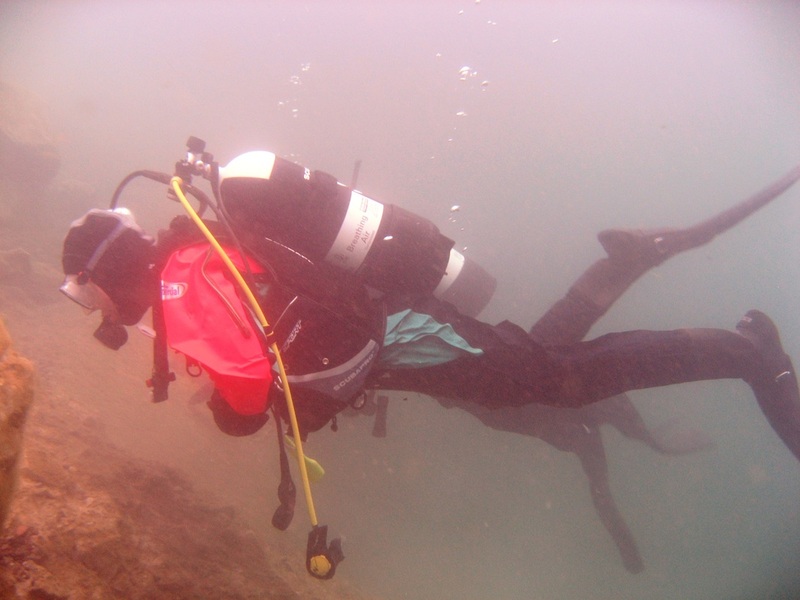 Once qualified, you'll be able to start diving in the sea from the club boat or on trips around the UK and further afield. 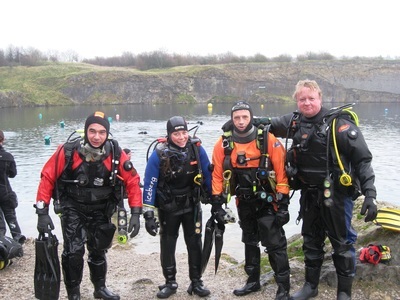 The club offers training for the BSAC grades Ocean Diver, Sports Diver and Dive Leader. You can find out more about what these grades mean here on the BSAC website. For each diver grade there are a number of lectures and assessment of skills in the pool and in open water. Pool training takes place on Tuesday evening from 7-8pm, January - May. 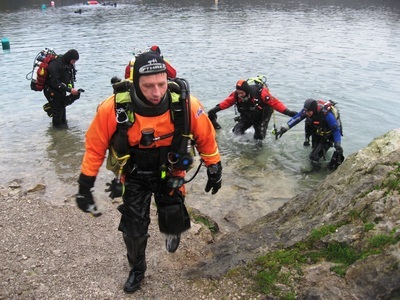 Open water training is carried out all year round. If you are not sure whether scuba diving is for you, why not come down to the pool for a try dive. 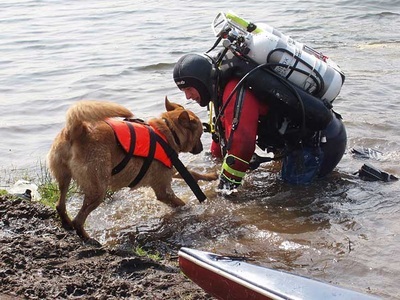 You will be given 1:1 attention by one of the clubs qualified instructors. 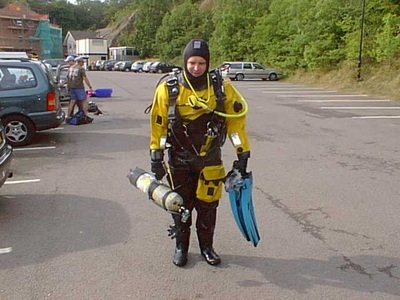 Try dives cost £20,but if you decide to join the club, the cost of the try dive will be deducted from your subscription. 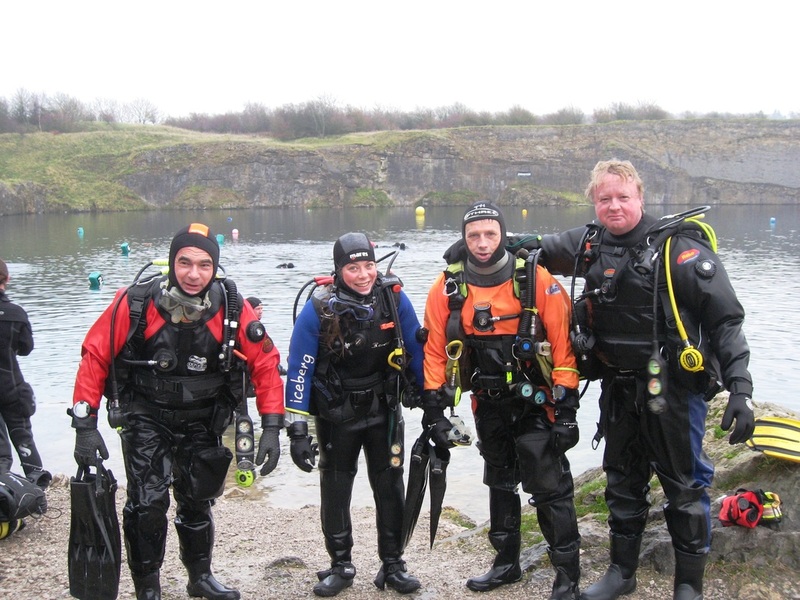 Contact Trevor Jones, Diving Officer on 01482 826818 or tmostym@tmostyn.karoo.co.uk to arrange a try dive or to find out more. 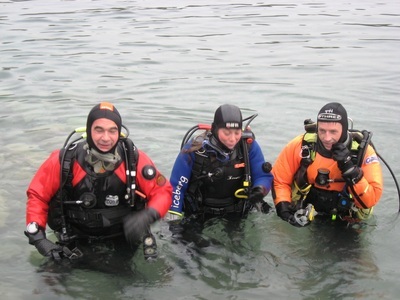 Instructors in various skills development courses.